Heartworm is a very serious and potentially deadly disease that can affect all breeds of dogs at any age. This parasite has also been reported more rarely in cats and ferrets, and it is wise for any pet owner to take precautions to protect their pet. Fortunately, it is easy for a diligent and conscientious pet owner to prevent heartworm and keep their pets healthy. Heartworm is an infestation of Dirofilaria immitis worms, a type of parasitic roundworm with a threadlike body that can reach 9-12 inches long at maturity. These parasites are only spread through mosquito bites, and one infected animal will not directly affect another pet. Once infected, it takes roughly six months for the heartworm parasites to mature enough to become detectable, at which time they will start to infest the heart, longs, and arteries of the animal. On rare occasions, the worms may also infect the eyes or brain. These worms can live 5-7 years within an animal, and infections have been reported in all 50 states as well as numerous countries around the world. Ultimately, a severe heartworm infection can lead to congestive heart failure and death. Recognizing the symptoms early, however, can lead to safe, effective treatment and eradication of the parasites. Regular preventative medications, which may be administered as pills, injections, or topical treatments. These medications should be used appropriately and as recommended by your veterinarian to avoid potentially dangerous side effects or complications. Minimizing standing water around your pet to eliminate the breeding ground for mosquitoes. This could include improving drainage in rain gutters or wet areas of the lawn, keeping bird baths or fountains clean, and avoiding overwatering plants. Maintaining your lawn in a way to minimize mosquito populations. Shorter trims that help keep the top layer of soil drier, as well as periodic spraying, will reduce mosquito populations and lower the risk that your pet may be bitten by a heartworm-infected insect. Keeping small mesh screens on all doors and windows to minimize the risk of mosquitoes getting into the house. Even indoor pets are at risk of contracting heartworm when infected insects are able to sneak inside. Planting mosquito-repellant plants around your home and areas your pet frequents outdoors, such as around a dog run or around windows and doors. Lavender, basil, mint, geraniums, sage, rosemary, lemon balm, citronella, catnip, and marigolds are all effective options. Keeping your pet in good general health with an appropriate diet and exercise, healthy weight, and regular veterinary checkups. A healthier pet will be more resistant to all types of parasitic infections, including heartworm. Continue to get regular heartworm screenings to check for infection, even when using preventative measures. This will ensure that your pet is properly protected and allow you to take action immediately if signs of heartworm are noticed. Ultimately, the best prevention is to take multiple steps at once to ensure the strongest protection for your pet. 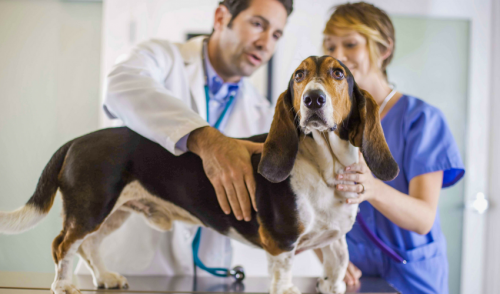 Heartworm can be a scary condition for pet owners to face, but with proper prevention and dedicated veterinary care, it does not have to be a fatal diagnosis.